Always yearning to be his own boss, Dan launched his own small business, called Abby Locksmith Alarms, while continuing to support the needs of federal corrections. The venture offered electronic alarm installations and monitoring to a local residential and commercial client base. 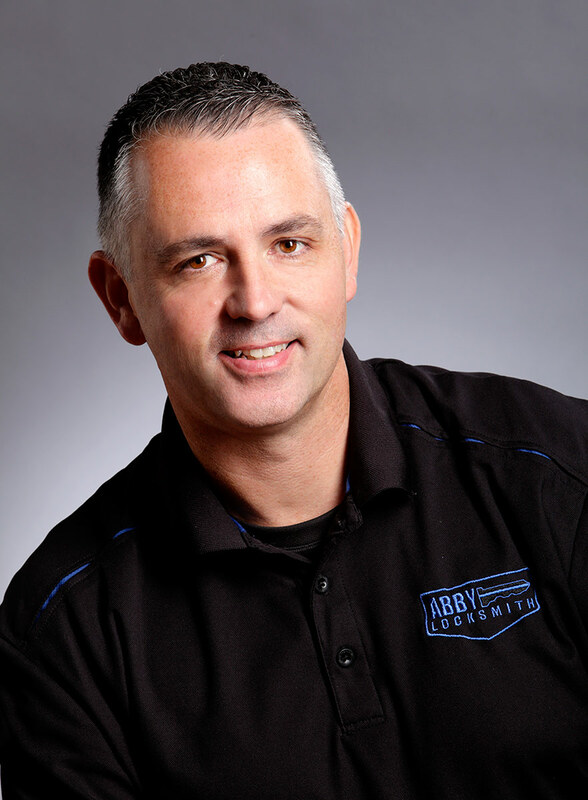 Assisting his parents part-time as needed in their then home-based locksmithing venture, a pivotal moment occurred when a larger locksmith competitor retired in 1995, presenting a time-sensitive opportunity for scaling up Abby Locksmith. That day, Dan decided to shift to the locksmith business full-time, and the whole family hasn’t looked back since. A licensed alarm installer, ticketed electrician, and certified locksmith, Dan’s leadership led to the company’s move to its current larger storefront location, and its embrace of the new digital age of access control and smart locking solutions. When not assisting customers in the store, networking in the community, and visiting commercial job sites, Dan is planning his next trip to exotic locales, competing with his dedicated community hockey team, or training for the Ironman competition.